Hello everyone! 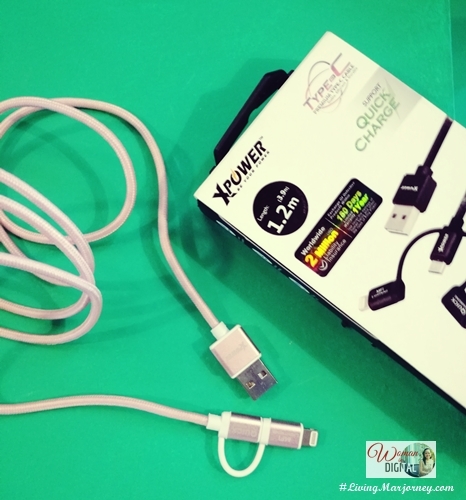 Allow me to share with you Four Awesome Gadget Accessories by XPower. Today, Digital Walker showed us these new and exciting products that will cater to your tech and digital needs. 1. The Xpower PB12+ Power Bank promises bigger power capacity with 10,000mAH and has three (3) built in cables that cater to your different gadgets, this makes for one handy power bank. With this device, you'll never get empty batts anymore. 2. The Xpower BH1 Bluetooth Sport Headphones is your partner during workouts and other sports activities. It's small and incredibly light pair that provides four hours of battery life for your listening experience. It has a magnet attraction design and promises high performance stereo audio. 3. 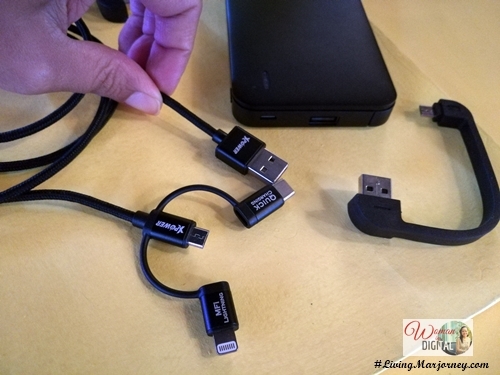 The Xpower 3-in-1 Aluminum Alloy Cable was made to be reliable and to fulfill all the USB needs that you’ll need. It's a one cable in three ways, enabling you to connect for synchronizing and charging at the same time. Xpower 3-in-1 Aluminum Alloy Cable is made with top grade material such as pure copper cable and a non-tearable Aluminum shield. Using a smartphone (Huawei P9) with Type C usb, I think this will be my favorite accessory from XPower. 4. 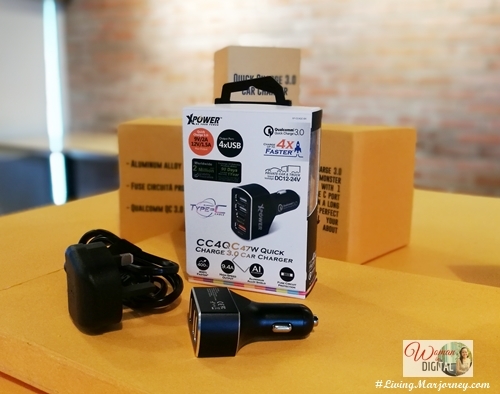 Equipped with 1 quick charge 3.0 port, 1 type C port and 2 smart IC port, the Xpower CC4QC 47W Quick Charge 3.0 Type C Car Charger is a monster charging machine that would be a great companion for a road trip. It's made with Qualcomm QC 3.0 technology, it charges 400% faster than a standard charger. So the next time you're off for a long trip, there's no need to worry charging your devices in the car. Industry grade materials and premium circuitry ensure the safest charging experience at all times, to protect you, your device and property from short circuit, over-charge, over-discharge, overheat and over current. 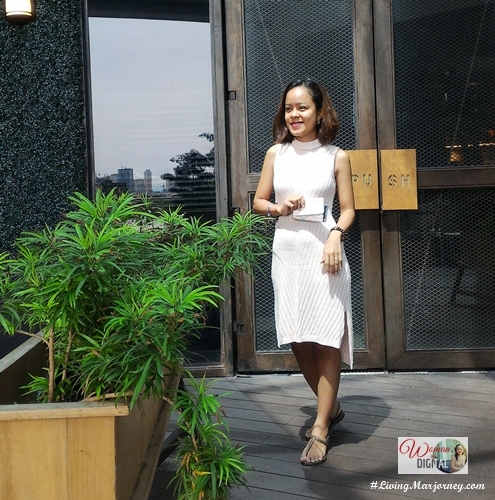 XPower accessories are definitely recommended for busy people on-the-go. I'm happy to have these new gadget accessories from XPower. I just started to use the XPower Powerbank, the gold shade matched the current design of my Huawei P9 case. XPower is now available in all Digital Walker stores. Looking for more accessories? Visit Digital Walker on social media. What are your thoughts about these awesome gadget accessories from XPower?